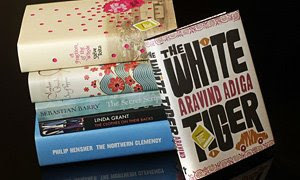 THE 2008 Man Booker Prize for Fiction shortlist were announced in London today. Good to know that Sebastian Barry (Ireland), Amitav Ghosh (India), Orange Prize-winner Linda Grant (Britain) and Philip Hensher (Britain) are on the shortlist as I have always enjoyed their work. 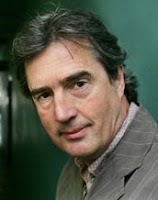 Dublin-born novelist, dramatist and poet Barry was of course shortlisted for the 2005 Man Booker Prize and the 2007 International IMPAC Dublin Literary Award for A Long Long Way (Faber & Faber/Viking Penguin, 2005). Two first-time writers are on the shortlist as well: Aravind Adiga (India/Australia) and Steve Toltz (Australia). New York-based Irish novelist Joseph O’Neill’s Netherland (Fourth Estate/Alfred A. Knopf, 2008) was, I thought, a surprising omission. Wow, Eric! I think all your predictions for the shortlist were accurate! I just bought a copy of Joseph O'Neill's Netherland, Steve Toltz's A Fragment of the Whole and John Sutherland's The Boy Who Loved Books at Kinokuniya. I am looking forward to reading them. Thanks for the recommendation. Kinokuniya's Man Booker Prize promotion is excellent. They have all the shortlisted titles except for Philip Hensher's The Northern Clemency. In 1974, Nadine Gordimer's The Conservationist and Stanley Middleton 's Holiday shared the prize. The same thing happened in 1992. In 1992, Michael Ondaatje's The English Patient and Barry Unsworth's Sacred Hunger shared the prize. This could be the year another two books share the prize. Perhaps Sebastian Barry's The Secret Scripture and Steve Toltz's A Fragment of the Whole? I think the top two books should be The Secret Scripture and Sea of Poppies. I think anything can happen when a panel of judges makes decisions on books. I think it all really depends of what the panel is looking for. Another panel will most probably pick another as a winner.